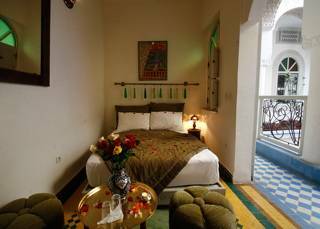 6 rooms are all individually styled, 5 double rooms with private bath and air conditionning , heating. 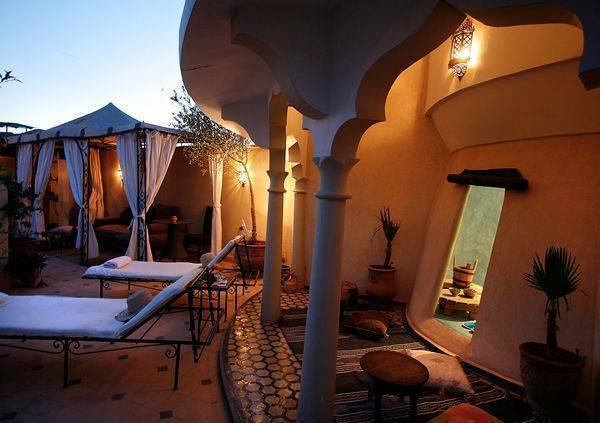 On its terrace, Riad Dollar des Sables offers a relaxing and traditional Hammam and massages. 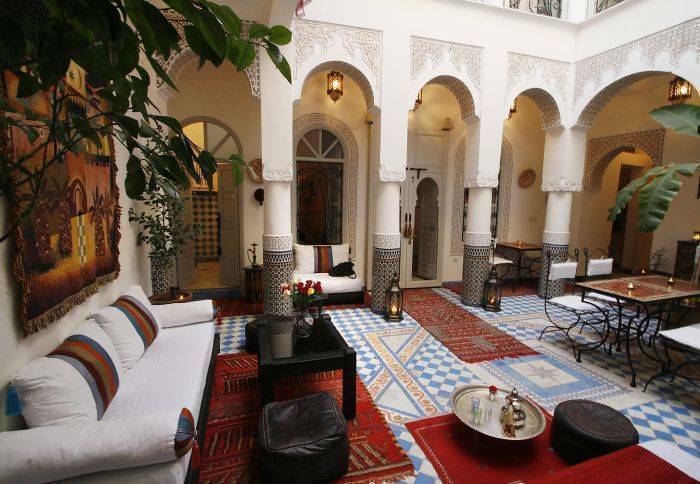 The cook Mouna will allow you to discover the finest morrocan food for lunch and dinners . Airport transfer available and highly recommended :20 Euros one way by car, day tours, cooking lessons. children without supplement in the same room as parents, and discount of 50% in a second room. 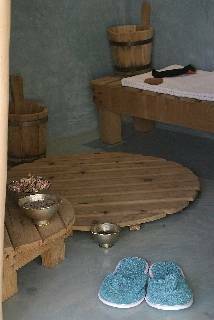 Traditional hammam (steam room) free if massage booked! 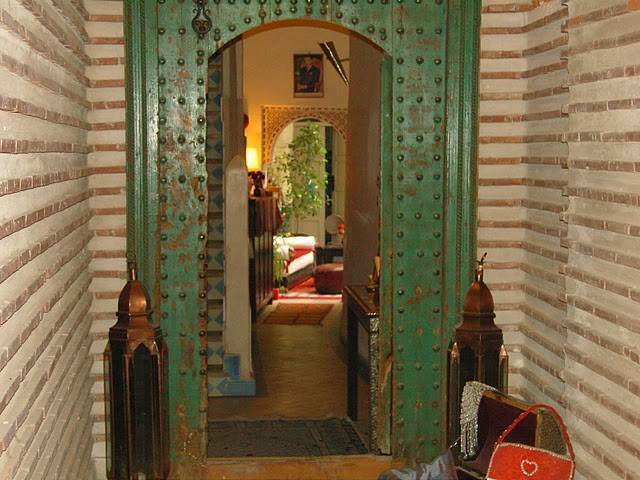 Meals at the The Riad provided on request,: between 15 and 20 euros per pers. private bathroom, with shower or bath. terrace roof with traditional hammam and massage room. Airport pickup BBQ area Beauty salon Breakfast included Car rental Children permitted Concierge Curfew Elevator/lift not available Gay friendly Gift shop Internet wireless (free) Laundry/valet service Linen included Luggage carriers Meal plans Medical assistance on call Morroccan Meals on request Multi-lingual staff Newspapers/magazines No Smoking Open 24 Hours Pets not allowed Restaurant on site Room service Safe deposit box Smoking permitted Steam room Taxi service Tour/sightseeing assistance WIFI (free) half board on request. -Patio level Zahia : Spacious twin room with tadelakt bathroom and ceiling fan - 1st floor Bahia, Lalitha, Safia and Salma: Double rooms (all with high comfort, air conditioning and private bathrooms. Please note that two rooms can become adjoining rooms according to the customers desire. -On the top floor, and terrace level , the Suite Dollar des Sables offers a high standard with luxurious and refined decoration. The bathroom has a coupole roof and a lovely shower. air conditionning, and heating, hot water, small safe. Book 3 nights and get one free! - Deposit of 30% upon booking if arrival more than 30 days before and balance requested upon arrival or Full payment requested if arrival less than 30 days. - More than 30 days before arrival 30. - Between 30 and 21 days before arrival 30%. - Between 21 and 7 days before arrival 50%. - Between 7 and 2 days before arrival 75%. 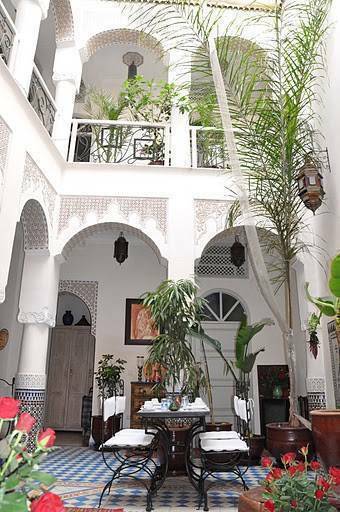 The guest house is located inside the old city "Medina" at 10 min from the airport, 2 mn walking from the Djema el fna Square, at a foostep from restaurants inside the Medina, and main monuments, like Medersa ben youssef, Museum of Marrakech.